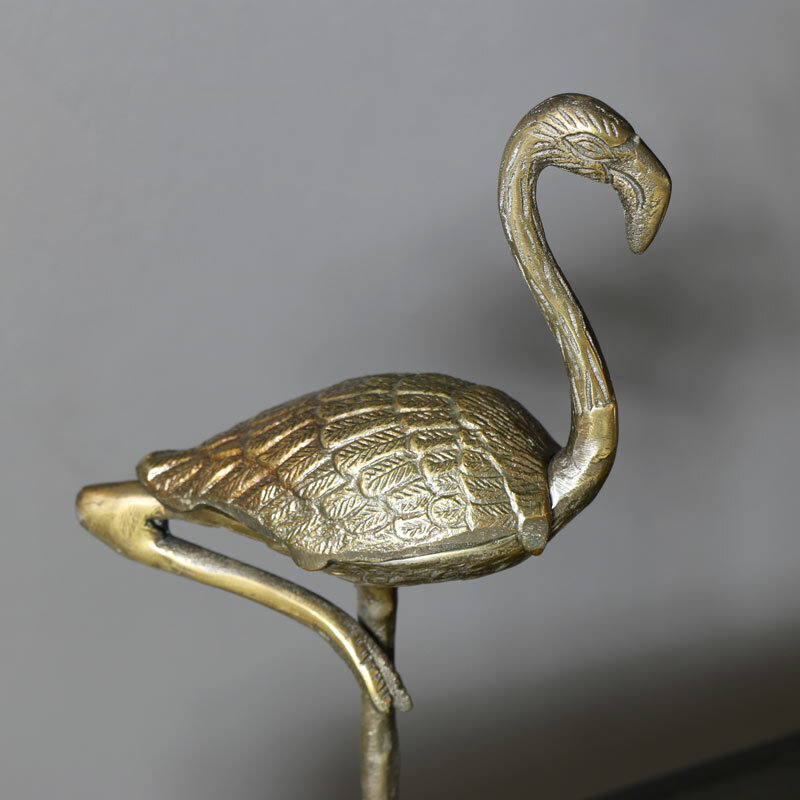 Made from metal in an antiqued bronze finish. 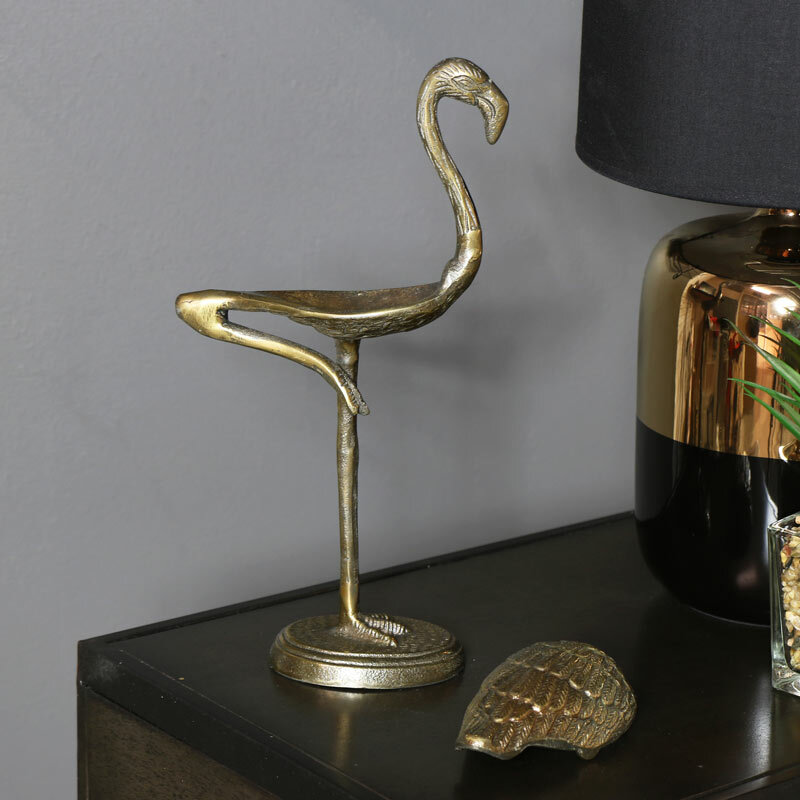 Soft cushioned base to protect surfaces. 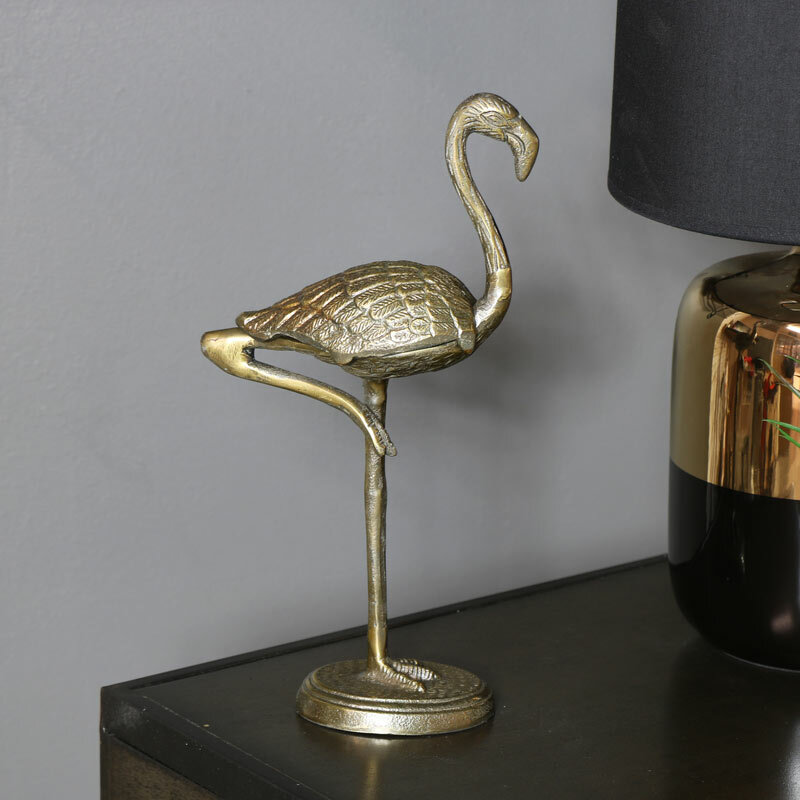 This flamingo is a great addition to our range of gifts and home accessories.